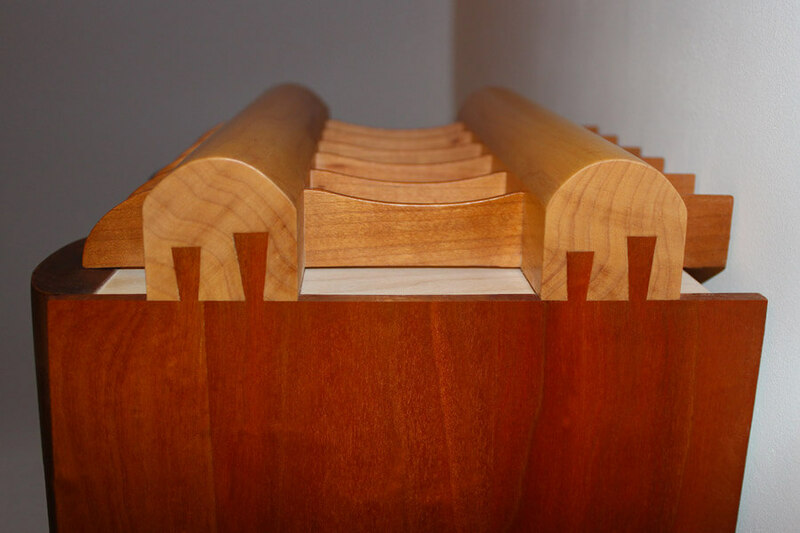 A skeleton construction held together with dovetailed maple columns. 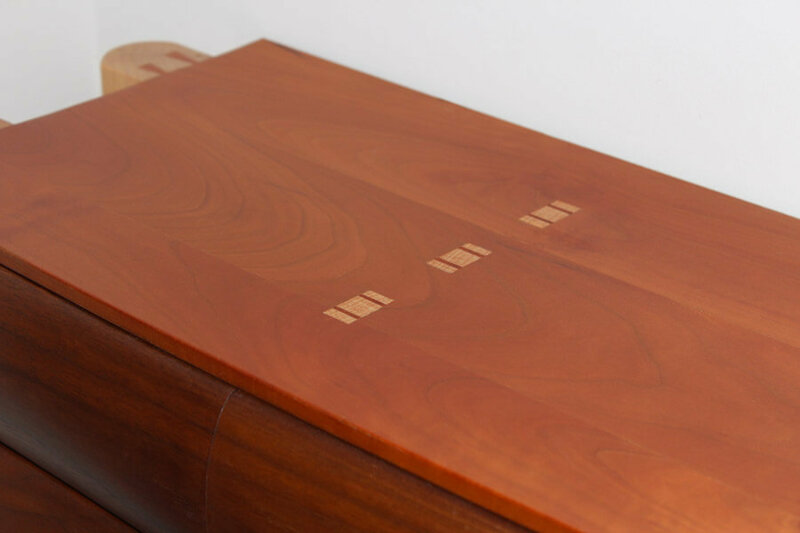 There are six chunky shaped drawer fronts with the sides clearly visible at either end of the wall mounted unit. 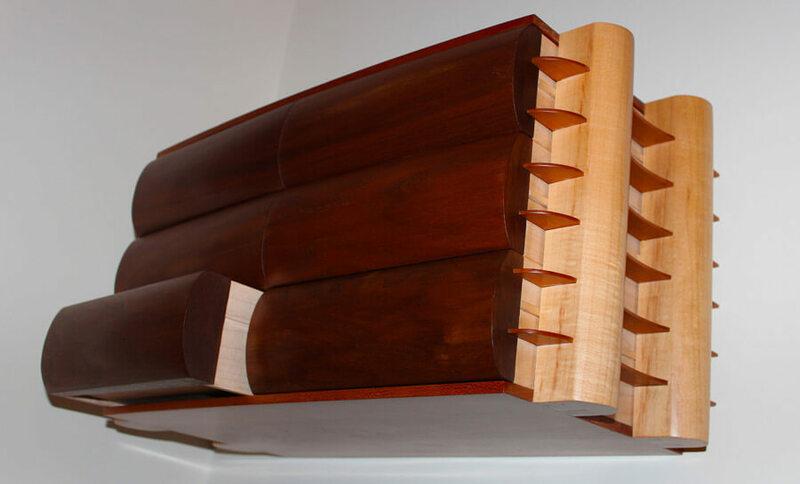 Columns are tied together using cherry shaped fins to keep them in place. Comically designed with a ‘waistline’ idea, i.e. 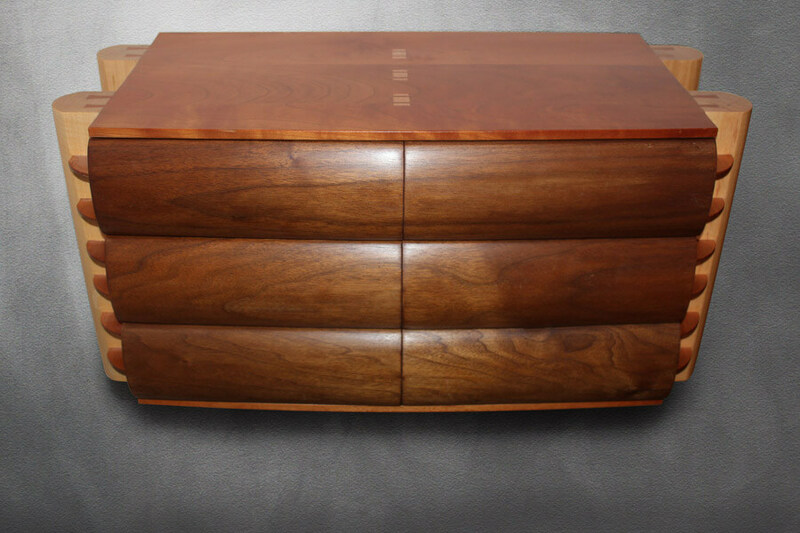 bulbous curved drawer fronts and exposed ribs on ends of unit. 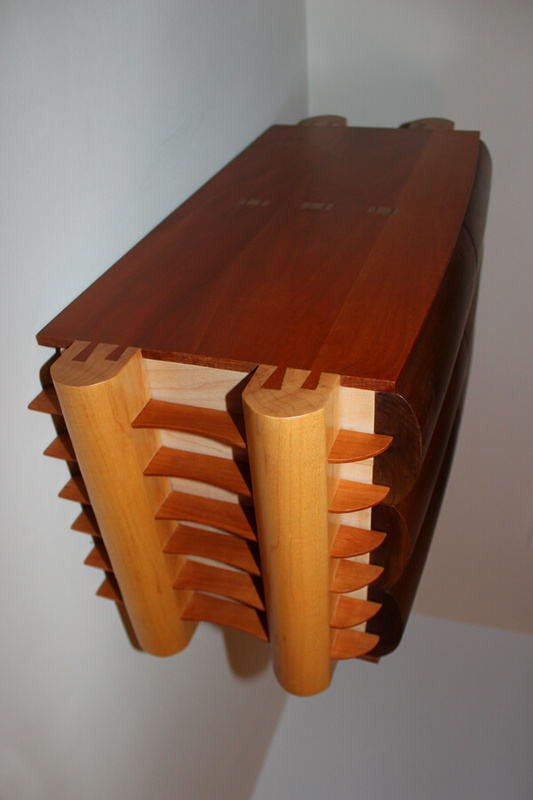 A little fun using traditional cabinet making methods, dovetails and wedged tennons.